Find your unique flat in privileged location! 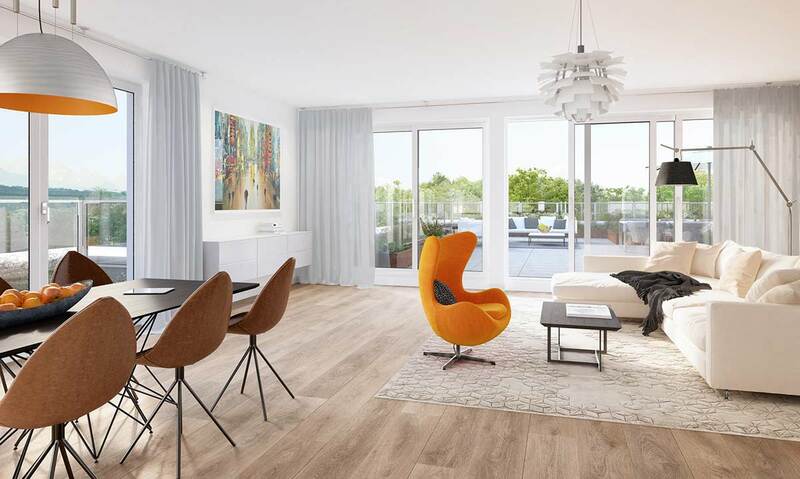 Extraordinary architecture, modern concepts of living, precious materials in privileged location at the Isar with a fantastic view over the city, the meadows of the river and the footsteps of the Alps. All these make this project to a unique ensemble. All flats will have contemporary technic with smart home – house control as well as high sustainability and best energy efficiency. The interior details will leave nothing to be desired. The sale of the flats started at the 2. 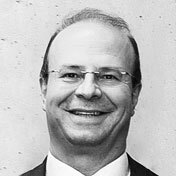 April 2016. Please, use the opportunity and get all informations for the flats ranging from 1,5 room-apartments up to the big penthouses with 182 qm. We are available for your individual questions and requests under the phone number +49 89 547265 88-48. Please, don`t hesitate to use our contact form and we will get to you as soon as possible. 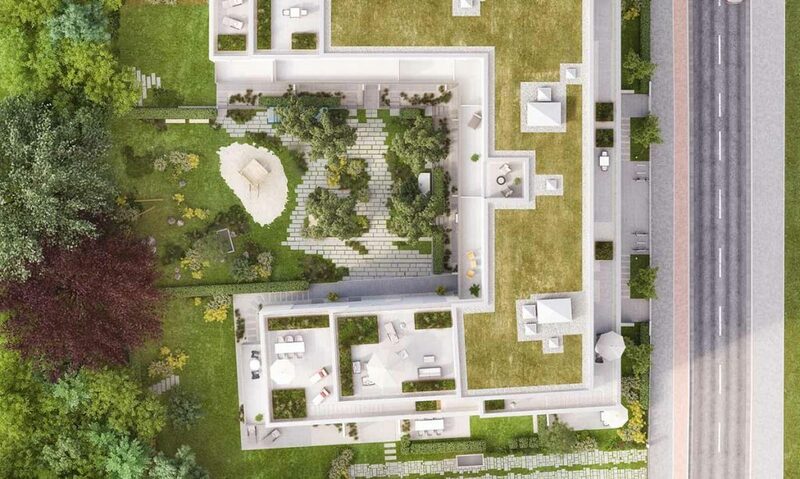 The plot is in the south part of Munich in the city district of Thalkirchen. 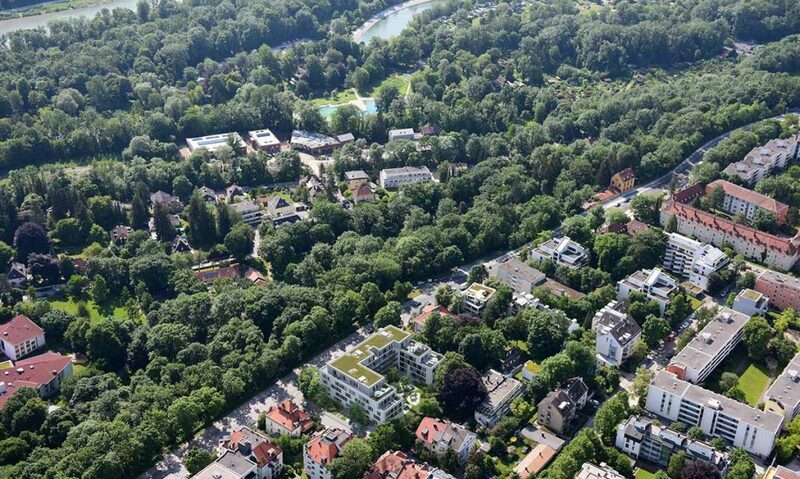 It is imbedded between a very quiet living area at the west side of the Wolfratshauser Strasse, the zoological garden of Hellabrunn and the Isar at the east side. Thalkirchen has a very high quality of recreation and leisure due to the idyllic river meadows and the possibilities for swimming and bathing. Thalkirchen is the third largest city district of the capital of bavaria and can offer 68 nurseries, 9 primary schools and 9 other schools like secondary- or high schools. The city centre is 20 minutes away by car. There is easy access to the motorway around Munich and the A95 which leads directly to the Starnberger See (lake of Starnberg) and to the foothills of the Alps. 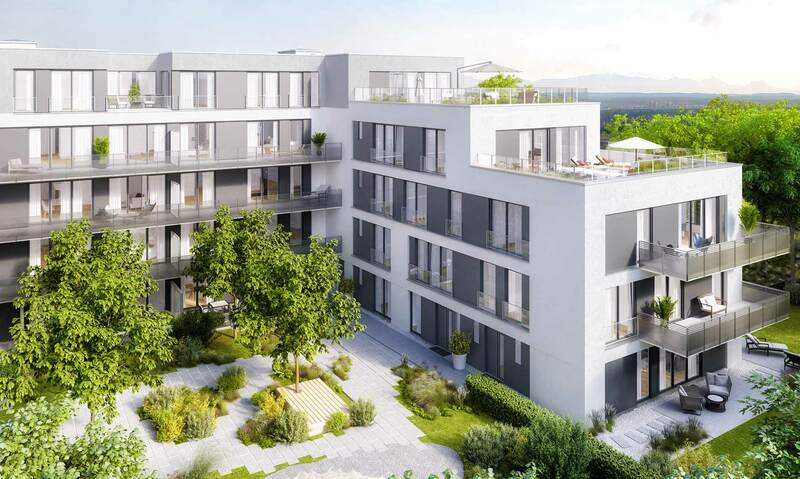 The new house will be located at the corner Irschenhauser Straße / Wolfratshauser Straße and is therefore located on the high banks of the river Isar, vis a vis of its idyllic meadows. The outdoor pool “Maria Einsiedel” is one of the most beautiful natural outdoor bathing places of Munich, which is embedded in this beautiful surrounding. This and the so called “Floßlände” is accessible via Wolfratshauser Strasse. The “Floßlände” is the part of the Isar there the legendary raft trips on the river end. This surrounding is characterized by lots of inviting beer gardens and restaurants like the “Asamschlössl”, the “Mangostin” or the “Alte Wirt”. 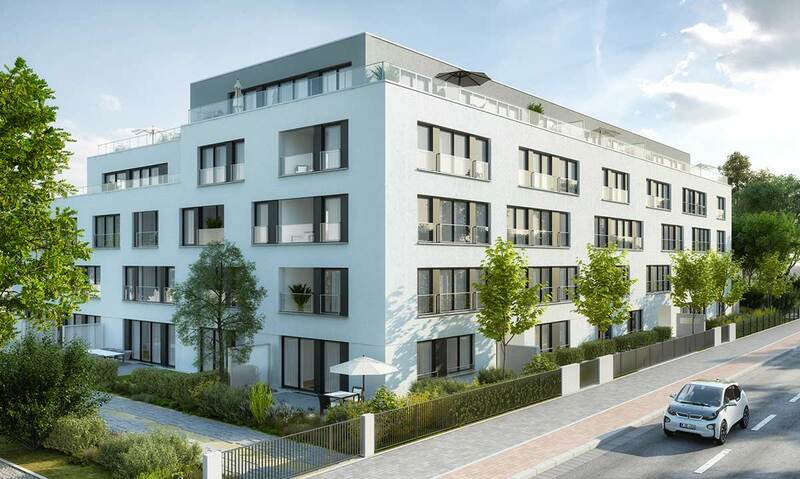 The plot self has easy access to public transportation and is in between the underground station of “Obersendling” and “Thalkirchen”. The suburban rail station “Siemenswerke” is accessible by foot in a few minutes.